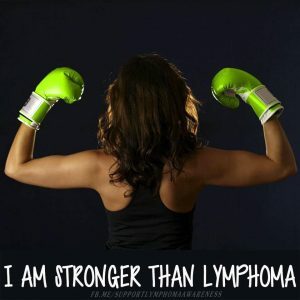 “I am stronger than lymphoma.” Those few simple words on a friend’s Facebook page over the holidays said it all. Just a few short weeks ago, that same friend and I were having lunch at Cured in San Antonio during the San Antonio Breast Cancer Symposium. I had driven down from Austin to visit with her to discuss work we were planning together in 2017 to #changethefight with cancer. I wrote about this journey to Cured and its connection to many other “thin places” in The Love of My Life | Can You Imagine? As I sit here now, on New Year’s Day, I am awash with emotions. This “I Have Been Provoked” post has been brewing within me for a while, since my last post in this series back at the end of September, I Have Been Provoked | Putting the Gloves Back On. My friend’s Facebook post and my reading of Beyond the Pink Moon by Nicki Boscia Durlester over the past week between Christmas and New Year’s are the spark to the kindling that has been building up these past few months. As the fire began to burn and I prepared to start writing, the title for this post revealed itself this week as well. It was Wednesday night. My two older children, Taylor and Kyla, were out with other friends. My youngest, Katelyn (12), and I were having our date night. We have a little tradition where we have dinner at Tony C’s at the Hill Country Galleria in Bee Cave, Texas. We have our three favorite appetizers: garlic knots, baked mozzarella and a big Caesar salad to share. We love it. I love it. It is “our thing.” We followed dinner with a stroll around the Galleria and then headed over to Michael’s for a little shopping. One of Katelyn’s gifts is her creativity. It is a joy to watch her dig into a new project, a new area of art. On this night, it was beads for bracelets, earrings and necklaces. Even before heading home to watch a movie, though, I knew the universe was busy. You see our old babysitter, Clayton Verdoorn, was working at Tony C’s that night. He used to babysit the kids before heading off to Savannah College of Art and Design in 2007 and his many international adventures that followed. It had been ten years since we had seen each other. He was back. At Katelyn and my restaurant. When Katelyn and I returned home, we decided to watch Miss Peregrine’s Home for Peculiar Children. 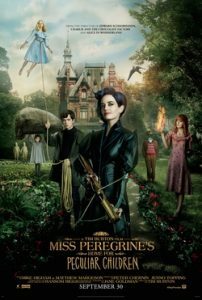 It is a Tim Burton film adapting the story by author, Ransom Riggs. For those that have followed my writing and my story for a while, you know that Tim Burton is a special man. His movies were favorites of my young hero, Kethan Kumar, who regretfully passed from the side effects of his treatments for leukemia in the summer of 2013. His mom and dad were invited by Tim to watch the screening of this film in Austin earlier this year. As she texted me after Katelyn and I finished watching it, “Kethan would have loved it.” I loved it. I love Tim. I love Kethan. Kethan met Tim in the spring of 2013. 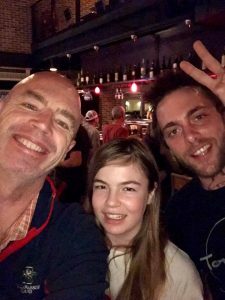 Tim is a truly special man. However, the connections of this movie to my story don’t stop there. A few months ago, a dear family friend and godmother to my daughter, Kyla, was visiting us in Austin. When she headed home, she left behind gifts for each of us, which is her tradition, a tradition that means so much to each of us, Taylor, Kyla, Katelyn and me. I have carried in my pocket her gift to me since she left it. It is a token. A small coin. On this coin is an image of St. Peregrine. Peregrine is from the famous Laziosi family in Italy, passed in 1345, and was canonized by Pope Benedict XIII in 1726. 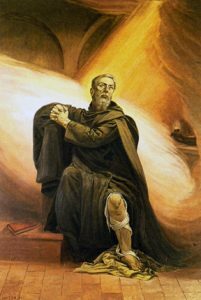 He was sainted by Pope Benedict because in 1325, after a vision of Christ, Peregrine was cured of cancer. To this day, Peregrine is the patron saint of cancer patients. So, here’s the deal. Here’s why I am feeling particularly provoked today at the start of 2017. I am sick and tired of this time loop. We need an Ymbryne, like Miss Peregrine. Not to stop time and keep us in our own respective safe places, before cancer. We need a time loop to jump forward. We need a time loop that carries us forward to a place to where each and every unique and peculiar cancer has its own unique and peculiar answer. We need to see the hollowgast. We need to see this invisible monster, cancer, with all its tentacles, just like Tim Burton and Ransom Riggs’ characters in Miss Peregrine’s Home for Peculiar Children. For whatever reason, this peculiarity is my calling. I see you cancer, but more importantly, I see past your tentacles and see the humanity of each and every person you afflict. I fight for them. I have Put the Gloves Back On because it is time for a new time loop. And to my friend that is looking at this particular time loop known as 2017 with trepidation, I know that you are indeed “stronger than lymphoma.” I fight for you. I fight for the “lovelies” of Beyond the Pink Moon. I fight in memory of the love of my life, my Maureen. I fight for “peculiar children,” like Kethan. I Have Been Provoked.